TGIF! Kick off the weekend with this all-American outfit! 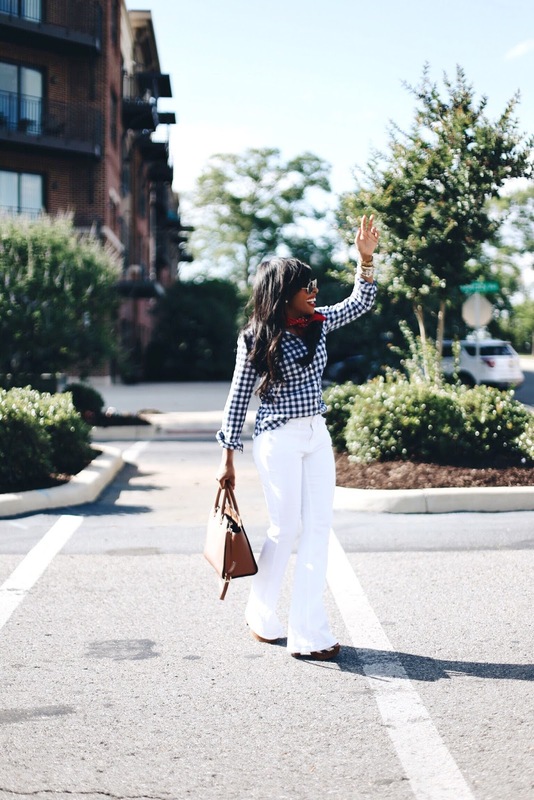 There is something about gingham that just screams summer to me. 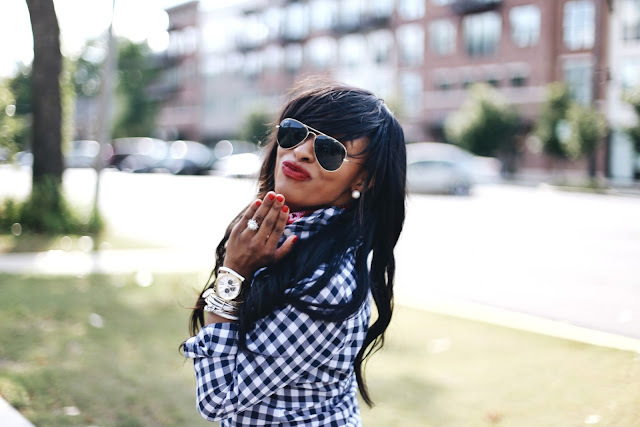 It's an oldie, but a goodie; flirty, fun, casual and extremely versatile. Add in some flare... Jeans that is! 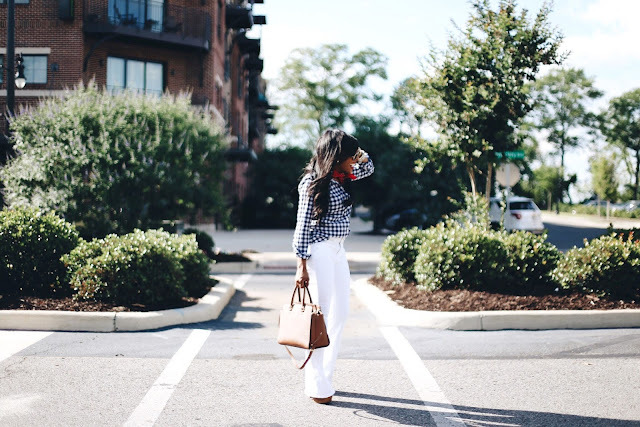 I'm a firm believer that a fun pair of white jeans can quickly pull an outfit together. I finished my look off with a red bandana scarf and some Jessica Simpson shoes! Oh by the way and Happy Memorial Day Weekend y'all - I hope everyone has fun plans or at least plans to relax a little. I've linked some of the best sales below… there are actually some really great ones. I'll continue to add sales to the list throughout the weekend so you may want to check back! Thank you so much doll! Isn't it such a fun look!!! Love the look! That gingham shirt is so cute!! Thank you so very much! It's one of my favorite Jcrew button downs! You have such amazing style; seriously, every look is perfect. Hope you are having a great weekend!! Kristie you're so sweet! Thank you so much for the amazing complete on my style!! Ahh thank you so much Ashley! !